Great post, the aspect of intimate, private life sharing by bands has been something that has been intriguing me for some time. It seems like we used to like the mystic of a band, now it’s actually possible to be more of a fan of the people in the band than their music. I say this from personal experience – a couple of years ago I saw a YouTube clip of this band Tegan and Sara, the banter they had between songs in this show was so funny and a lot of it was personal anecdotes, I’ve been a big fan since. It’s strange though that their music isn’t what keeps me as a fan, it mainly due to the funny personal stories. The girls in Tegan and Sara are twin sisters as well, I wonder if Jayesslee got wind of the type of interpersonal video documentation that Tegan and Sara use and actively tried to incorporate this technique into their project for marketing purposes, maybe not but maybe. I think I just found my new favourite Youtube channel! They sound awesome and I agree that their covers don’t sound at all like karoke, they have their own style, which you could argue could be attributed to their cultural heritage-not because they are Korean, but because they do have been exposed to a wider range of infleunces to draw from. Also it’s interesting you mention that they don’t share their diasporic experiences, but do share personal stories and songs, which you could argue to some extent are diasporic experiences by nature because they do have experience of both cultures, expecially the videos they have taken in other countries. As you have touched on in your post and mentioned in the comments, though it might be purely coincidental it is interesting to note their documenting of their international travels. I remember Natalie Tran aka Community Channel also going on a extensive trip, sponsored by Lonely Planet. It seems as if this is a natural progression of the diasporic experience, extending it further to different cultural scenarios, providing a unique perspective on the experience. There is the potential for a more literal exploration for example when they visit their parent’s or grandparent’s country(s) of origin, where the effect that their living experience can be better analysed. I think it might be interesting to investigate the results of exploration of these degrees of further separation. Great choice for a peripheral Diasporic group. 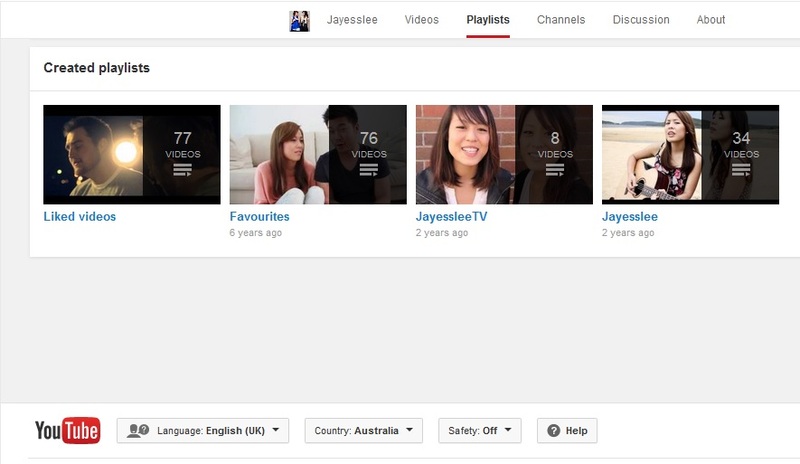 Jayesslee are so good! It’s interesting as singers that they also do incorporate this aspect of digital storytelling into their videos. I feel as though this has made their video’s more personal and has given there fans a further look into their lives as Korean Australians. Another thing i enjoyed about them that you mentioned is that, they do not sound like karaoke they are actually performing and making the songs their own. You’ve touched on all the relevant autoethnographic elements of digital storytelling that I found important when researching my own project! (background history, current identity of subject, method of expression, situation in cultural context). I think the Korean-Australian perspective and Jayesslee’s position in the Asian diaspora is a unique viewpoint that we haven’t seen much throughout the subject, and you’ve used some great examples to show how the traditional and the modern are used to give meaning to their personal experiences. I can see this leading to the creation of a successful digital artefact e.g. playlists, curated countdown lists etc. I think that the way they set their video with both music and autobiographical is a large part of their success (and of course their talent). It is interesting to see the different markets for people and how an individuals race can impact that. I like how you mention that in your post. These girls are tailoring their songs to the audience which helps drive their popularity. LOVE Jayesslee! I assume this is a uni blog? All the best with your studies, you have some great content!